Our surveyor services include the conducting of boundary and mortgage surveys for Title and Settlement Companies, Real Estate Attorneys, and Realtors to assist in smooth and cost effective closings. 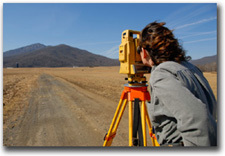 We also work with soil scientists, civil engineers, and builders. We are a strong advocate of the environment, working with wetland studies and conservation easement groups. We offer our services to most of Northern & Central Virginia including Albemarle, Culpeper, Fauquier, Greene, Louisa, Loudoun, Madison, Orange, Rappahannock, Prince William, Frederick, Fairfax, Spotsylvania, Warren Counties, and the Richmond area.